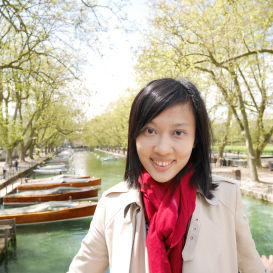 Lily Chen, born in Hualien, Taiwan, is a composer exploring timbral potentials of both acoustic and electronic music. In her recent works, she creates counterpoint of timbre by synthesizing sound gestures with subtlety, shaping imaginative and poetic atmosphere in her music. Lily is currently a PhD candidate in music composition at the University of California, Berkeley, where she is studying with Ken Ueno, Franck Bedrossian, Edmund Campion, and Cindy Cox. She got her bachelor’s and master’s degrees at Taipei National University of the Arts in Taiwan, under the instruction of Chung-Kun Hung. Since 2005, she has received several prizes, including 1st Prize of Asian Composers League Young Composers Awards (2012), 1st and 2nd Prizes of Nicola de Lorenzo Prize in Music Composition (UC Berkeley, 2014 & 2015), and some other prizes in Taiwan. Her music has also been played at several international festivals in USA and Asia, including Mise-en Music Festival (New York, 2016), International Computer Music Conference (Texas, 2015), New York City Electroacoustic Music Festival (New York, 2015), Midwest Graduate Music Consortium (Chicago, 2014), Van Appledorn Festival of New Music (Texas, 2014), Asian Composers League Conference and Festival (Israel, 2012 & Taiwan, 2011) and Nong Project at Korea National University of the Art (Korea, 2007). She recently had a 10-month composition residency in Paris as the recipient of the George Ladd Prix de Paris in 2015-16.